Almost perfect people or uncool nerds? 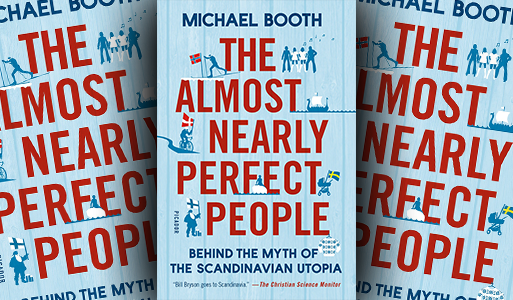 Michael Booth, The Almost Nearly Perfect People: Behind the Myth of the Scandinavian Utopia. London: Jonathan Cape, 2014. 416 pages. Michael Booth’s wide-ranging and often amusing exploration of the Nordic world was spurred on by yet another survey describing his wife’s fellow Danes as the happiest people on earth. Not having encountered so many happy Danes, he decided that this was something he had to try to explain, to get a handle on their Scandinavian psyche. Dedicating a section to each of the five Nordic countries, he has much to say about Denmark, his adopted home, but his favourite target is Sweden. Like many people in his adopted country, he is at his most biting when it comes to laying bare the underside of its neighbour, the supposedly most perfect nation on earth. There are, of course, other targets. In his generally lightly mocking tone, he tells us of such things as the Finns’ addiction to antipsychotic drugs, the Danes’ addiction to hyggelig or “cosy times,” the Norwegians’ antisocial isolationism, and the Finns’ sisu or machismo. He also finds space to recount the sad tale of the Icelanders’ suicidal corporate spending spree. Some of the time he seems to be asking us to treat his put-downs as part of a comedy routine, but at other times he implies that he is getting at some fundamental truth. Overall, he portrays Scandinavians as uncool nerds. The fundamental problem with this book is the all too frequent lack of context. When describing a particular propensity, the language is unrestrained by any effort to determine how the non-Scandinavian world – for example the author’s own United Kingdom – fares in comparison. As journalist-observer, eschewing any claim to social science expertise, he sees no need to compare. Hence there are few facts and figures to back up his contentions, the sources for which are typically quotes from a book or author. And sometimes, if need be, a different book or author that takes the opposite position. This can make for good reading but leaves the nonexpert reader unsure as to what is credible and what is not. Compared to the sections on Denmark and Sweden, Booth has relatively little to say about the other three, so I’ll start with those. Iceland: From my short visits to Iceland, it was clear that it is the least Scandinavian of the five. It is typically placed in that category because its language has roots in the Old Norse spoken by the Vikings (though incomprehensible to the Danes, Norwegians and Swedes), and because it was a Danish colony in the past. Booth includes it, I suspect, to allow him to write of its huge banking crisis and throw in a few tales about beliefs in elves. In the end, he reveals its un-Scandinavian character. His explanation for Iceland’s failure to restrain its banks from building up huge debts is the inevitable nepotism of a very small country, which doesn’t really tell us very much about Scandinavia as a whole. In the remaining chapters we see that, at least in certain costumes, one size fits all – but not Iceland. Finland: Here second-guessing Booth turns out to be unnecessary, since he shares my admiration for Finland, where I lived for four months and have returned frequently. It is the most resilient of the four Nordics, ravaged by invasions and civil wars and kept under the thumb of the Russian and then Soviet empires. When the Soviet Union disintegrated, Finland was able to overcome its dependence on Soviet markets, developing high-tech products based on its world-class system of education and research. It faces challenges today now that Nokia is no longer big enough to prop up the economy, but there is every reason to expect the resilience of its people to shine through again. Norway: Booth has apparently spent some time here, a country I know fairly well. The chapter is not inaccurate, but somewhat mean-spirited nonetheless. After telling us about the Norwegians’ peculiar practically universal custom of wearing the national colours in traditional costumes and flying their flag on May 17, their national day, Booth turns to an event that still traumatizes them: the murder of 77 Norwegians, many of them youths who would have been the leaders of the future, by a right-wing fanatic who hated foreigners, Anders Breivik. This provides a springboard to what he sees as their ambivalent feelings toward foreigners who are doing the jobs that now-rich native Norwegians refuse. 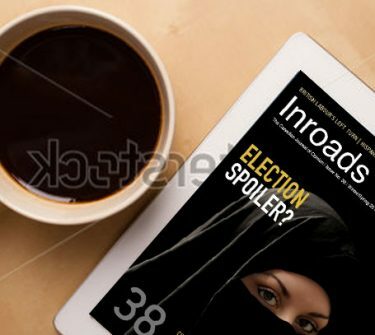 He goes on to write at length about how much oil riches have changed the Norwegians, at the same time admitting that it has changed them less than would be the case for any other country in their situation. Similarly, while critical of the national oil company, Statoil, he is forced to acknowledge that any other company administering so much oil wealth would do much worse. He writes of a boat trip along the coast to the far north, pointing out that the importance of the coastal cities diminishes the prominence of Oslo, compared to Copenhagen, Stockholm and Helsinki. For him, this is a matter of choice by Norwegians to invest heavily in their northernmost cities, noting how you see nothing like this when you cross to the south into northern Sweden. However, he fails to mention the fundamental factor underlying the difference: being on the coast, Norwegian northern cities have Gulf Stream–warmed milder winter weather compared to Oslo, let alone to the cities on the Swedish or Finnish side of the mountainous border. The chapter peters out with a bunch of stale jokes told by other Nordics about the Norwegians’ antisocial nature, something belied by the many popular, trendy pubs of Oslo and Bergen. Denmark: Given that Denmark is where Booth lives with his family, we need to take his analysis with only a slight grain of salt. He tries to resolve what he sees as the basic contradiction. The Danes do not have the best welfare state, they are not as rich as the Norwegians or Swedes, they do not have their neighbours’ imposing mountains and valleys in their flat and often grey countryside, and they smoke a lot and have high cancer rates. Yet despite all this, they are the happiest. Trying out various explanations, Booth suggests that perhaps they are not really quite so happy, but rather something in their makeup makes them feel the need to say they are. But he isn’t sure. There is, I think, a rather simple explanation. The Danes have, if not the best, still a well-functioning welfare state, providing them with an enviable level of security and prosperity. But as simultaneously Scandinavians and continental Europeans, they have fewer inhibitions about enjoying the pleasures of life. They are more like the French when it comes to alcohol consumption, less burdened by the legacy of the binge drinking that was pervasive during their Nordic neighbours’ long and dark winters. Booth has loads of witty anecdotes about a country he knows well. If anything, he lets the Danes off the hook too easily. While he pays much attention to examples of ethnocentrism in the others, he does so less for the Danes, even though the Danes are now the most restrictive of the four when it comes to letting outsiders live in their country and the most prone to vote for anti-immigration parties. Then Booth gets to the crux of his critique. Practising a form of “benign totalitarianism,” a (typically Social Democratic) Swedish government, in cooperation with docile unions and collaborative industrialists, tries to regulate everything for a Swedish population content to be regulated: “the most diligent of worker bees, happy to toil for the good of the hive.” Much is made of historical faults: sterilization of women, guilt over benefiting from Sweden’s neutrality by trading with Nazi Germany. These are seamlessly linked to a craven willingness to depend on services and subsidies from the state, a bad deal, he says, compared to depending on relatives or spouses (or, I would add, private charity). By the end of the chapter he presents – sort of – the other side from a couple of Swedish interlocutors, but he remains sceptical. He decries the state’s (past) treatment of families, the state knowing better than mothers what is good for their children. But soon afterwards he comes around to say that if he were a woman, he could think of no better place to live. Pages then mock the entirely powerless Swedish royalty – strange coming from a Brit, but then the British never claimed to be egalitarians. The final Swedish chapter tells us that overall, despite this, Sweden is actually doing all right. But even this is presented negatively: he cites a couple of Swedish pessimists to the effect that current Sweden has lost its way, no longer holding on to those old certainties – certainties that he so viciously mocked just a chapter before. The book ends with an epilogue which asks the reader not to overreact. In effect, he really didn’t mean much of this; he was just playing devil’s advocate. It is only because Scandinavians have succeeded that they need to be torn down. Perhaps that was the point: to remind Scandinavians of their imperfections. Shouldn’t he have warned the non-Scandinavian reader at the outset? Finally, by seeking out opinions about generalities, you risk missing specific problems and potential threats. And there are problems. Ironically, in his epilogue, which is an almost unapologetic tribute to the “still enviably rich, peaceful, and progressive” Scandinavians, Booth tells us of an education system that not only is free but also has the best standard in the world. If only it were so. With the exception of Finland, deteriorating standards in education are a serious problem in Scandinavia. This past spring, an OECD report concluded that Sweden has failed to improve its school system despite a series of reforms in recent years, noting a decline in the OECD’s PISA survey over the past decade to significantly below average. School discipline has worsened, with students more likely to arrive late for school than in any other OECD country. And, despite relatively high job satisfaction, only 5 per cent of lower secondary teachers believe that teaching is a valued profession in society. Now here’s where things are not even nearly perfect. But it’s more fun to write of benign totalitarianism. 1 On this point see Elin Naurin and Patrik Öhberg, “The Interests of Immigrants First: Can Sweden Maintain Its Generous Refugee Policy and Its Generous Welfare State?”, Inroads, Winter/Spring 2014, pp. 75–83.